Good old Americans, always being extra. 1. The packaging of this steak, dedicated to all those who are in love. 2. This special Valentine's Day cake. 4. Okay, now you're overdoing it. 6. This truly unique gift suggestion. 7. This invention, which is surely the worst invention in all of history. 8. This Pizza Hut ad for a very successful marriage proposal. 9. And this ad to spend the most wonderful Valentine's Day...at McDonald's. 10. This DIY beef jerky edible underwear to gift to your better half. 11. Everything featured in this special Valentine's Day catalog. 12. This blanket, which would make an ideal gift. Or not. 13. This very extra present that someone sent to their S.O...AT WORK. 14. 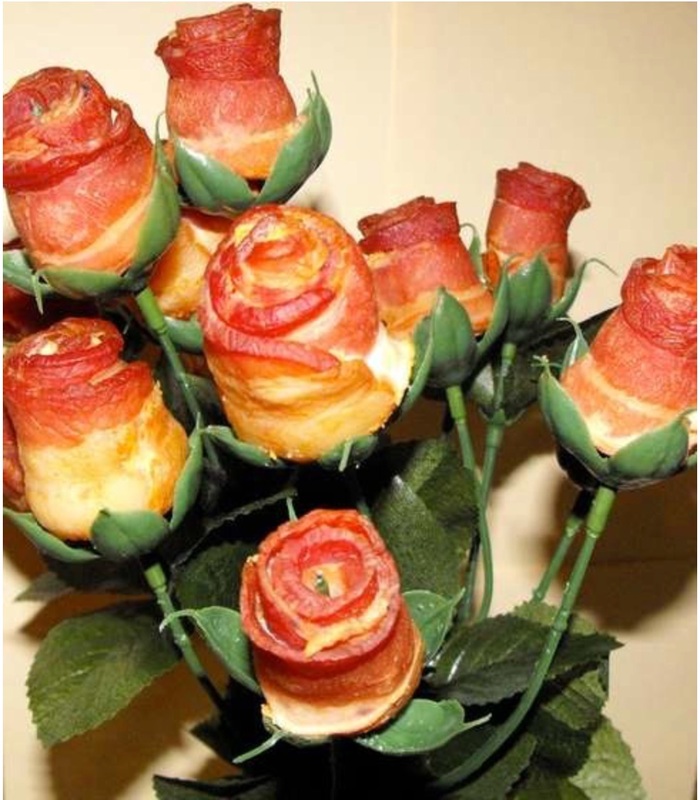 This bacon rose bouquet. 15. And these bacon hearts. 17. And finally, this ad to spend your Valentine's Day planning your funeral. "Give her the perfect gift, make pre-arrangements as a couple with the affordable funeral home."